Galaxy Morphology is a major review article written for a new book series titled "Planets, Stars, and Stellar Systems" (or PSSS). PSSS is a "compendium of modern astronomical research covering subjects of key interest to the main fields of contemporary astronomy," according to the PSSS webpage (see link at right). Galaxy Morphology covers issues of both high and low redshift galaxies, and will be part of Volume 6, titled "Extragalactic Astronomy and Cosmology." PSSS is designed to follow in the footsteps of the old "Stars and Stellar Systems" series published in the 1960s and 70s. 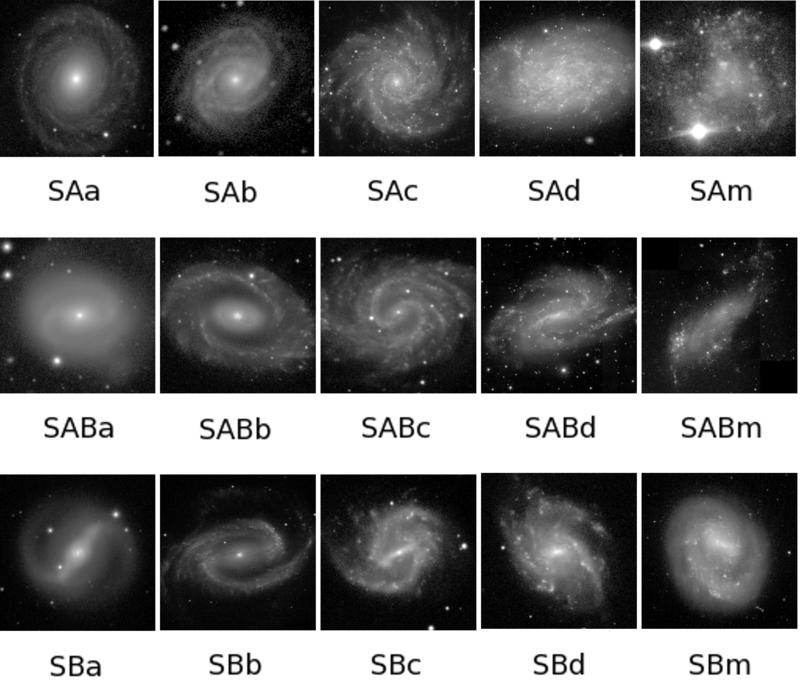 Morphological types among spiral galaxies. 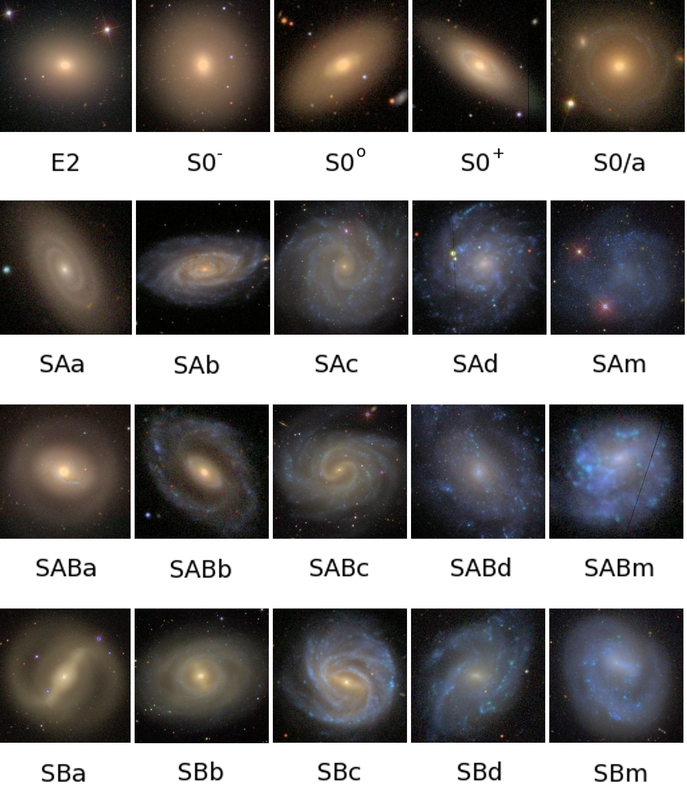 Morphological types among spiral, S0, and elliptical galaxies in color (based on Sloan Digital Sky Survey images). 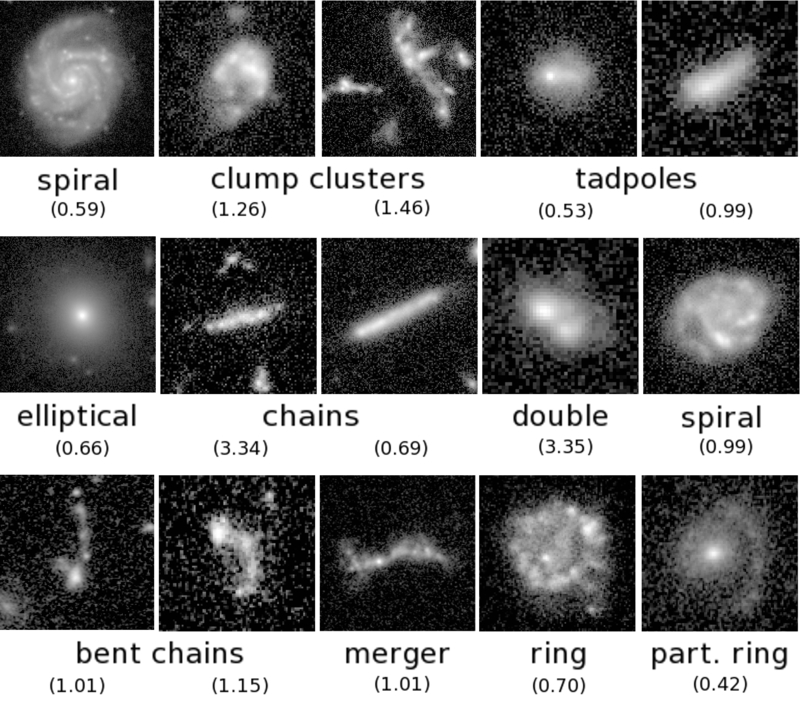 Various morphologies (due to D. and B. Elmegreen, and others) of high redshift galaxies. The redshift is the number in parentheses and is an indication of the distance of the object. A redshift of 1 corresponds to a distance of about 9 billion light years. Ronald J. Buta, Ph.D. Although the authors of this Web site have made every reasonable effort to be factually accurate, no responsibility is assumed for editorial or clerical errors or error occasioned by honest mistake. All information contained on this Web site is subject to change by the appropriate officials of The University of Alabama without prior notice. Material on this Web site does not serve as a contract between The University of Alabama and any other party.